Artists hold a special spot in the heart of A.H. Munsell. As a painter and educator, Munsell was relentless in his pursuit of a logical way for artists to communicate color. However, Munsell was equally as passionate about creating a color order system that would gain acceptance and use by the scientific community. Munsell’s early diary posts (circa 1902) describe the numerous meetings with science and academia relative to the physics of color, as he pursued the development of his color photometer, for which he later obtained a patent. Munsell used his photometer to characterize color and as a means of ensuring color consistency of each of the color samples used to teach his color notation system. 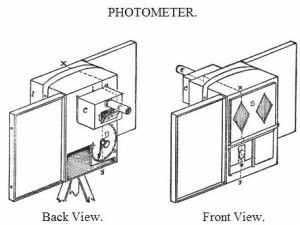 In 1902, a basic photometer, though revolutionary for its time, was primitive in comparison to the spectrophotometers that were to follow for measuring color. However, Munsell’s early photometer was integral to the adoption of his three-dimensional color theory. A Color Notation was published three years later in 1905. Munsell knew that if he had the support of the science community, his system would gain greater respect and more widespread adoption. Physics Professor A.E. Dolbear of Tufts University remarked that Munsell’s color charts were not only “beautiful” but also significant because they were based on physical tests. Through Munsell’s scientific theory and experiments, he continued to maintain focus on the artist. Although Munsell was trained in the more subdued palettes of the Renaissance Movement, keep in mind that in the early 1900’s, impressionism was becoming main stream. The movement had begun in Paris around 1863. The movement was initially rejected by the Académie des Beaux Arts, where A.H. Munsell studied from 1885 to 1888, immediately following several unconventional Impressionist exhibits in Paris between 1874 and 1886. Impressionist artists are said to have applied the complementary color theory of French chemist, Michel Eugène Chevreul. His work preceded Munsell’s but influenced Munsell color theory. Impressionism is known to be somewhat scientific in nature, displaying the effects of light and intense (or highly chromatic, as Munsell would say) complementary colors. Therefore it’s fitting that Munsell should arrive at his color theory during this major transition in the history of art. In his observation of how Professor Ogden Rood, Columbia University Physicist, described color saturation—perfectly pure and perfectly bright—Munsell questioned to which audience Professor Rood was referring, the artist or the scientist. On the contrary Munsell saw saturation as a combination of chroma and value . Munsell’s observation would have been relevant to the impressionist artists. They were daring contrarians who, unlike their Renaissance counterparts, were known to apply pigment directly to the canvas without first mixing on a palette… scandalous! And they worked with highly chromatic colors and color complements. Nothing excited the senses in the early 1900’s like Impressionist art. Bold and controversial for its time, Impressionism exemplified chroma. Munsell’s color notation system captured this sensation in what he described as the third dimension of color—chroma (“purity, freedom from white light”). Vigilant in his work of defining the three dimensions of color—hue, value and chroma—from scientific and artistic points of view, Munsell once again found himself seeking advice from the scientific community. Most of Munsell’s science colleagues agreed with the hue and value concepts, but chroma was a new term. According to MIT Physics Professor Charles R. Cross, he did not object to the term “chroma” but admitted it was unfamiliar. Professor Cross also suggested that Munsell avoid using the term “intensity,” as it could have several meanings. At the end of the meeting, Dr. House supported that Munsell’s three-dimensional color theory would encompass all sensations of color. Dr. House based his decision on the fact that Munsell’s system was consistent with Ewald Hering’s “opponent color theory (1892), which states that any color can be described as a mixture of red, yellow, green and blue—the basis of Munsell’s primary hue circle. With the backing of the science community and relevance to the art community, Munsell’s three-dimensional color theory was on its way to gaining widespread adoption. A. H. Munsell Color Diary, 1908-1918, Volume A Part 6 (pp. 102, 106-107). Courtesy of Rochester Institute of Technology, Munsell Color Science Laboratory. Gersh-Nesic, Beth. 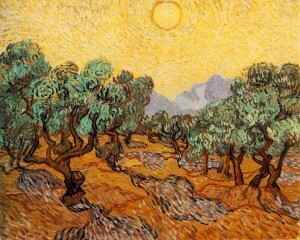 “Impressionism – Art History 101 Basics.” About.com Art History. About.com, n.d. Web. 01 Feb. 2013.